A look at the chic interior spaces of visionary architect and designer Paola Navone. 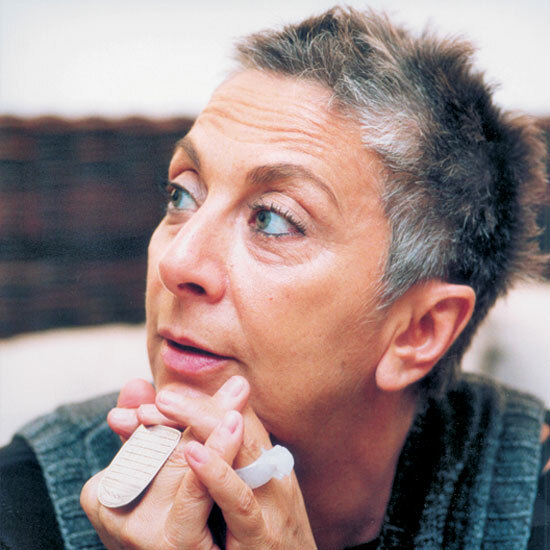 A member of the Italian design elite, Paola Navone works for clients ranging from old-school Richard Ginori 1735 to modern-minded Knoll. 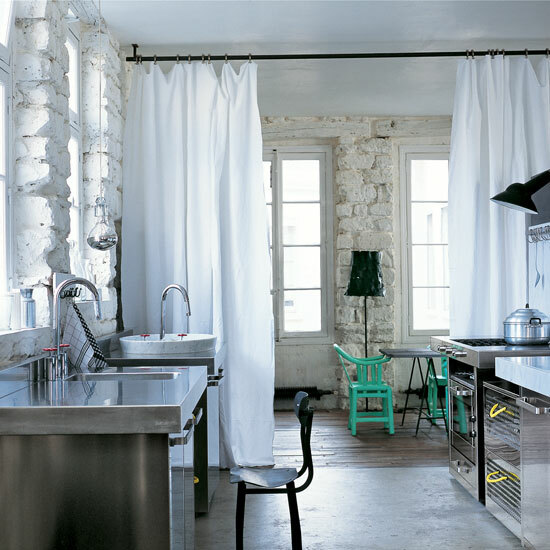 Inside Paola Navone's Paris loft, simple, white floor-to-ceiling curtains can separate the dining area from the kitchen when she's entertaining. 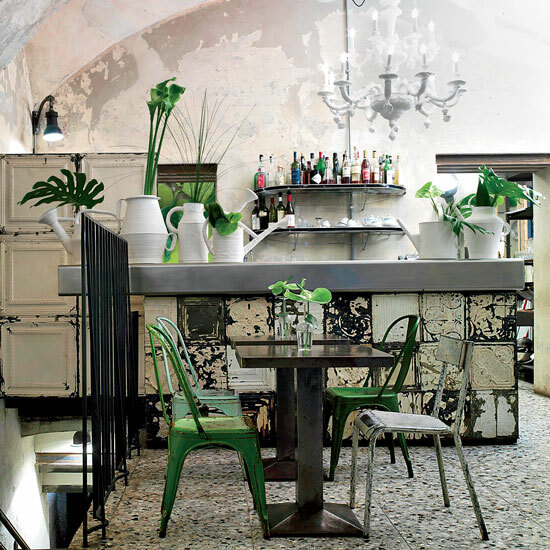 Paola Navone recently transformed a former tobacco shop in Milan into Pane e Acqua, a restaurant that showcases new and vintage pieces from the adjacent furniture shop. Everything is for sale, so the design changes constantly. The front of the steel-topped bar is covered with weathered 1920s metal tiles salvaged from New York City hotels. 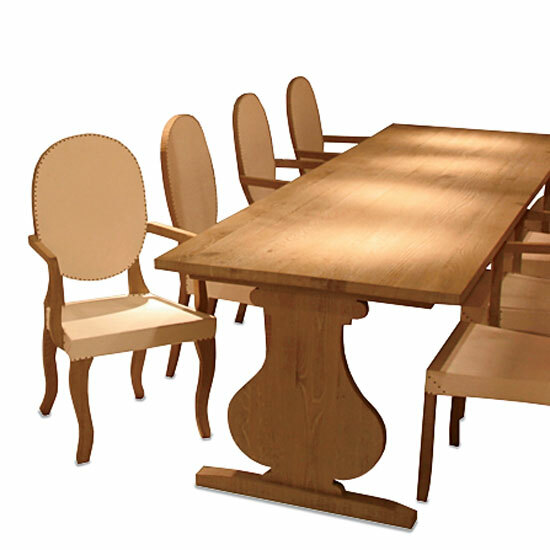 The Gingerbread table and chairs, in sandblasted oak, resemble cardboard dollhouse furniture. From $2,300; jfsdesigninc.com. 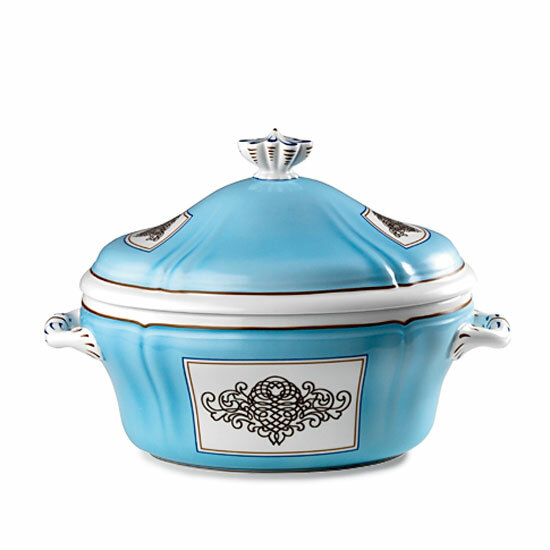 Paolo Navone replaced a landscape on the Calligraphy soup tureen with an elegant scroll pattern ($925, pictured). The Prova Prima line ($50) was inspired by artisans' paint swatches. bergdorfgoodman.com.